The Story: It was the last dive during my vacation and it was a night dive to say good bye to the most impressing dive site I experienced. Beside giant jellyfishes, octopuses, and seastars - all subjects too big for my macro lense - I suddenly saw this beautiful creature crawling on a kelp leave. Fantastic. I watched it until the end of the dive. 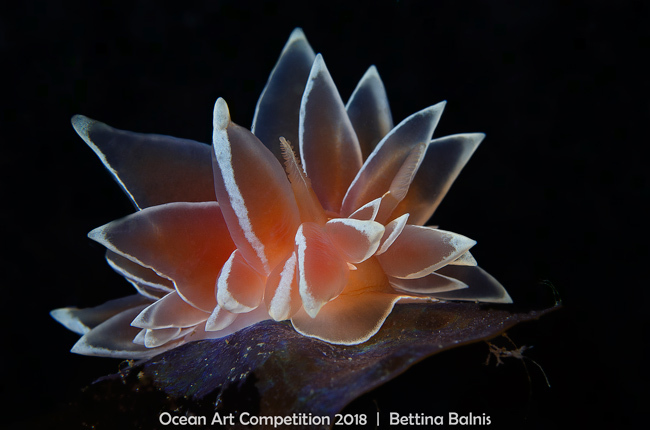 Never saw such a beautiful nudibranch again.